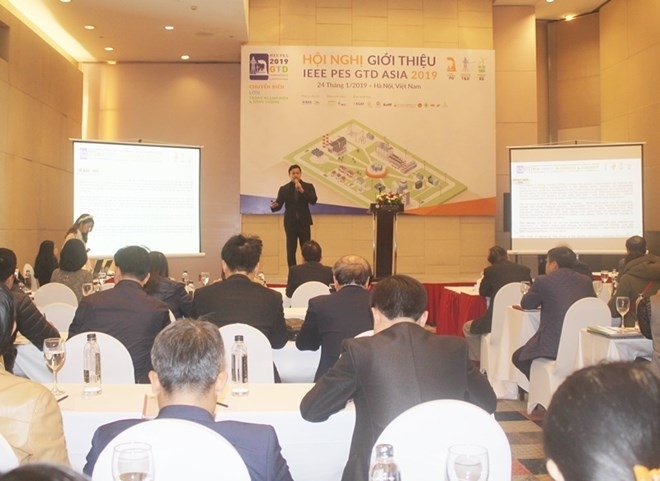 A meeting introducing the Institute of Electrical and Electronics Engineers (IEEE) - Power and Energy Society (PES) Generation Transmission and Distribution (GTD) Asia 2019 was held in Hanoi on January 24. The IEEE-PES GTD Asia 2019 will be held at the Bangkok International Trade and Exhibition Center in Bangkok, Thailand from March 19-23. The IEEE-PES GTD Asia 2019 is a descendant of the IEEE PES T&D Conference and Exhibition, the largest conference and exposition on power and energy arranged biannually in North America for almost 40 years, said Warisara Pongpattapan from the event’s organizing board. This will be the first time the conference is being held outside the US. With the theme "Big shift in Power and Energy", the exhibition is expected to attract a variety of new technological advances and products in the field of power and energy. The exhibition is expected to welcome more than 400 businesses from many countries around the world and more than 10,000 visitors. 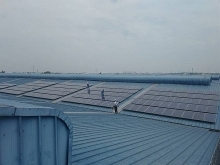 Pongpattapan believed Vietnamese companies would have opportunities to present and promote their innovations and services to other participants and influential power industries at the exhibition. Speaking at the event, Le Van Luc, deputy director of the Electricity and Renewable Energy Authority under the Ministry of Industry and Trade, lauded the exhibition, stressing that promoting the development of renewable energy power will not only reduce greenhouse gas emissions, but also ensure energy security serving the country’s development.